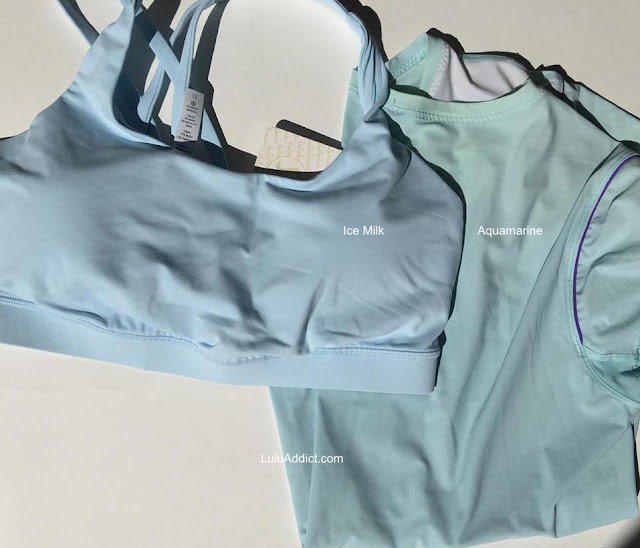 The new Ice Milk color versus Aquamarine, in natural light. The top is in direct sunlight. The bottom is in indirect sunlight. I need to dig up Caspian Blue, too, to see how they compare. 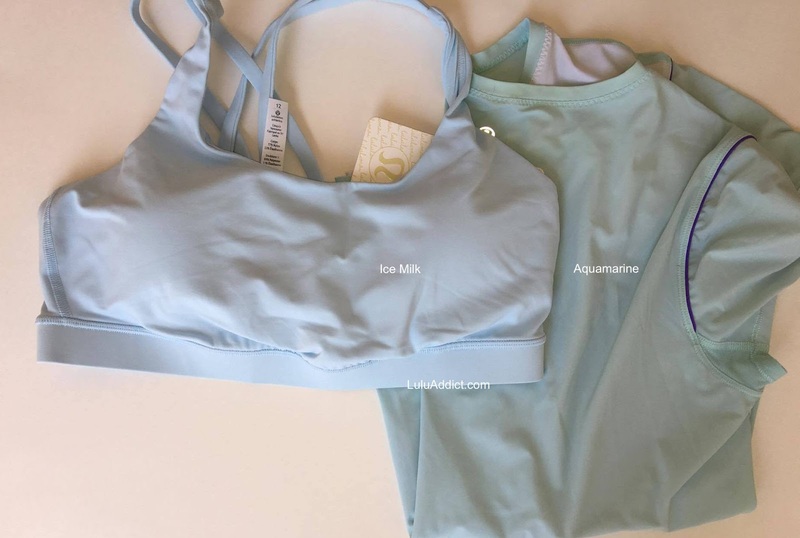 This Energy Bra is a keeper for me.